When I was first asked to foster little Michael I didn’t think I had what it took. His mother was already dead and his father was very ill and needed someone to look after Michael when he had to go into hospital. I was worried about the effect all this would have on my children. However, when I met Michael and his father I was won over by their courage, faith and positive attitude to life. I knew I had to help them in any way I could. What followed is a story of hope, happiness, and making the most of every day. It is the story of a father’s selfless love and devotion to his son, and a small boy’s belief that when the time comes the angels will take his daddy to be in heaven with his mummy. “The Night the Angels Came is beyond words”. I cried my heart out. Poor little Michael had so much courage. Amazing book. Keep up the great work Cathy. …oh my lord it is just so brilliant. I feel so much emotion and love through every word. You are a wonderful women who does such a brilliant job. I don’t want to finish this book .. I laughed and cried at the same time. 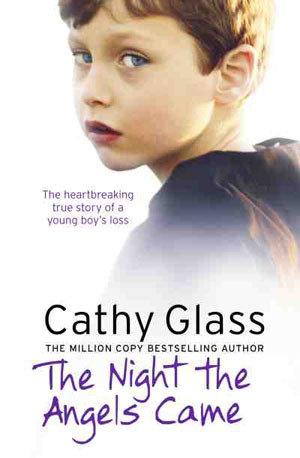 Would recommend this book most highly, Cathy has surpassed even her high standards. I think this is probably the most moving story I have ever read. ’The Night The Angels Came went straight into the non-fiction paperback bestseller list on publication in September and has remained there ever since rising to no 2. It is presently no 6 in print non-fiction paperback and no 1 in Kindle non-fiction’.